Raspberry Pi was originally aimed at students and hobbyists, and it can now function as a Linux computer. And if support for Microsoft's Windows 10 desktop OS is added to the latest Raspberry Pi 3, it could become a viable computer for millions of PC users who are not technically savvy. 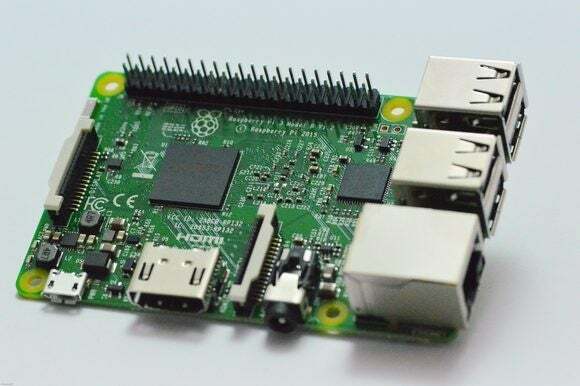 Support for Windows 10 desktop is on founder Eben Upton's wishlist for Raspberry Pi 3, which shipped in February. The mini computer already supports Windows 10 IoT Core, a stripped-down version of the OS for Internet of Things devices. But that decision is not in Upton's hands. It's feasible, but not now contemplated as part of Raspberry Pi's relationship with Microsoft, Upton said. "It's a Microsoft decision," he said. "I would love it if Microsoft would do that. I'd love to see it." The Raspberry Pi 3 is already being used to make smart devices, robots, drones, media streamers, and thin clients like ViewSonic's SC-T25. In the meanwhile, Raspberry Pi is taking other steps to make the computer user friendly. Raspberry Pi 3 is widely considered a computer for enthusiasts, but Upton wants to "grandma-proof" it so it's easy for everyone to use. Raspberry Pi 3 has entry-level PC features with a 64-bit ARM processor, Wi-Fi, and a high-definition graphics processor. 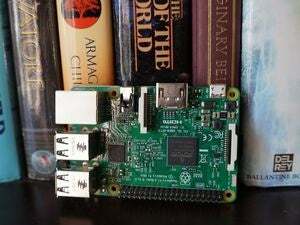 An intuitive user experience with a graphically attractive OS and standard software is needed to make Raspberry Pi a viable PC alternative, Upton said. To that effect, Raspberry Pi is moving to make Chrome a standard browser in Raspbian, the official Raspberry Pi OS. Other Linux distributions like Ubuntu can also be installed on Raspberry Pi. Windows 10 desktop is compatible with only x86 chips. The mobile version of Windows 10 can serve as a desktop-like OS in a pinch, but it is compatible only with Qualcomm-based ARM chips. Microsoft would have to make one of the Windows 10 versions compatible with the 64-bit Broadcom ARM chip in Raspberry Pi for the OS to work on the device. Microsoft is relying on Raspberry Pi to expose its Windows 10 IoT Core to the growing community of enthusiasts making smart gadgets and IoT devices. The partnership has been successful, and Microsoft's Azure cloud provides the middleware needed for makers to connect devices to services, Upton said. Raspberry Pi is also being used in IoT implementations, and it is becoming difficult for Upton to track how the boards are being used. He's seen them used in networking and storage equipment, and "homebrew" devices designed by companies for internal use. The industrial sector is the next big push for Raspberry Pi, Upton said. There's a growing demand for industrial IoT devices and computers to operate industrial equipment, and Raspberry Pi could meet both needs. The first Raspberry Pi shipped in 2012 as an inexpensive computer to help students learn to program. The board has since sold in the millions, inspired look-alikes, and spawned a cottage industry of small companies developing components and connectors. In the speedy growth, Raspberry Pi hasn't lost its primary educational focus. Next month, the book "Learning Computer Architecture with Raspberry Pi," written by Upton and Jeffrey Duntemann, will be released. It will provide an in-depth look at the Raspberry Pi hardware architecture and will be a reference book for students and hardware enthusiasts. "We're still having fun. When we stop having fun, we'll stop making it," Upton said.